Back ‘round ‘97-’98 I was a budding lyricist in high school. I was part of an Augusta-based group named J.U.I.C.E.— five members, only two actually contributing, no transportation… you know how it go. This was before YouTube and other such websites made it easy to download instrumentals; come to think of it, I didn’t even have a computer back then. I wasn’t working, or rather wasn’t allowed to work, so I couldn’t get up enough cheese to buy studio equipment. However, even back then my older cousin, Andre Ellis, was already deep into the music scene; he gave me my first drum machine, a Boss DR-5. And the rest was history (in progress). But if Andre Ellis is a giver, it hasn’t been just me who has benefited from his generosity. Over the years, he’s invested his production talents in a slew of MCs, known and unknown. From names like Hot Rod & 50 Cent, to Macadon, to Nappy Roots, to Bobby Creekwater, to Stat Quo, to REgeneration & the BlackBerry Boyz, to his latest talent John Bussie, Big Cuz has stayed faithful to his grind. 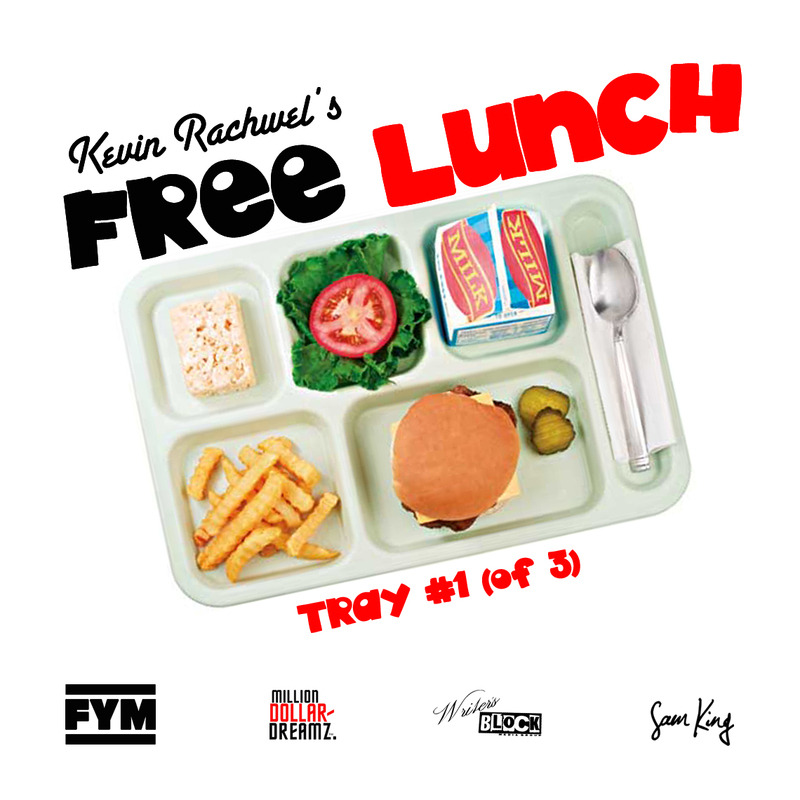 Maybe that’s why his two-release mixtape series is called Free Lunch; it hasn’t been a glamorous journey, but nutritional value of his work speaks for itself. …The World I Know. From the Slam movie soundtrack? You’ve never heard of it?? …Bums. I also remember Rachwel always being particular about his percussions as well; he loves vintage hip hop drums, like you may have heard from the early-to-mid 90’s. They don’t really pop thru the speaker like the more modern sound; they hit softly, which allows the bass and the samples to dominate the track in most cases. And Rachwel has a great ear for sampling, whether it be snippets for scratching and cutting, an extended portion for looping, or an ensemble piece for the opening fanfare on a track. Being around him, he was always listening to Pete Rock and C.L. Smooth (some say he somewhat favors C.L., but that’s beside the point), so he’s very thoughtful about how he extracts. Andre’s come a long way. His name has been shouted from the mouth of DJ Drama and he’s worked alongside Groove Chambers, BGOV, and several other conglomerates. He currently is a part of Young Scholar Entertainment, and he has relocated from Augusta to Athens, maintaining influence in both areas, as well as in Atlanta. Most recently, he has adopted the moniker Kevin Rachwel. But, in terms of providing dope sound, ain’ nuthin’ changed. I owe a lot to this cat; what’s a budding young MC with no beats, right? Or no studio experience. Matter of fact, had it not been for him, there wouldn’t even be a Witchdoctor review on this site right now, because it was shotgun in Rachwel’s Jeep that I first heard Witch’s track Dez Only 1 from a s.w.a.t. healin’ ritual and got hooked! At this point, Andre Ellis/Kevin Rachwel is definitely somebody you need to have on your radar. When I get my hands on one of his hard-to-find mixtapes, I’ll be giving a thorough review as always; meantime, peep my reviews on his up-and-coming artist John Bussie and his mixtapes iPod Muzik 1 and iPod Muzik 2. Polos and Retros coming 2012… GO HARD CUZ, IT’S YOUR TIME!! !